Pastor Rick began his ministry to Huggard Bible Church, of Sand Lake, on Jan 1. He has a passion for people and the Word of God. His desire is to help people make sense of this life, world through the Word of God. 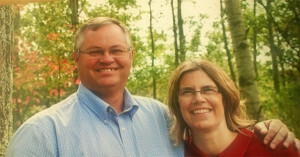 Pastor Rick and his wife Deb are looking forward to being a part of and ministering to our community. We would like to invite you to join us at Huggard Bible Church as we and the community welcome Rick and Deb at his installation service on February 22 at 9:30 followed by a potluck. Come join us as our new pastor helps us to make sense of life and the Bible, God’s Word. Huggard Bible Church is located at 8860 21 Mile Rd, Sand Lake.